Wonderful lychee and Peach flavor. this is very good for tank vapor and excellent all day vape..
Sweet and smooth mocha frappuccino all day vape ! 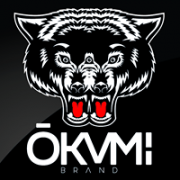 OKAMI Brand Haute Mocha 100..
Sweet and smooth mocha frappuccino all day vape ! One of the best lemonade vapes. Great value!This item is for JAPAN Domestic Shipping only ..
Honeydew melon chew with cool mint! Great value!This item is for JAPAN Domestic Shipping o..